A carnival centre, health resort and a magnet for tourists – with a Mediterranean feel. Überlingen has it all. 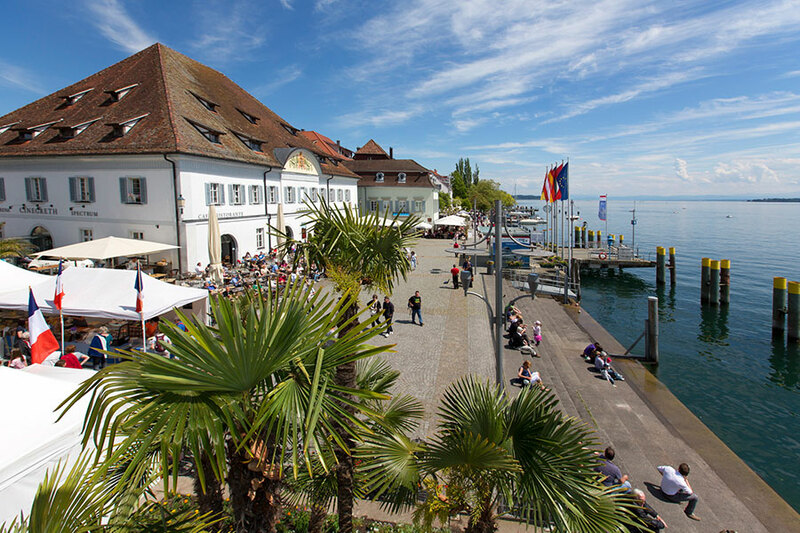 Its mix of old and new makes the second-largest town on Lake Constance something quite special. Überlingen’s skyline is dominated by the Münster St. Nikolaus, a huge late-Gothic church that is home to a number of lovely altars donated by residents of the town. The church is surrounded by the medieval old town of this former Imperial Free City, which once held one of Southern Germany’s largest corn markets. One of the town’s most striking sights is the former Greth warehouse and trading house in a beautiful building dating from the Late Baroque/Early Classical period. When you take a walk along the 5-km-long lake promenade, you almost forget that you are in Germany. Palm trees, banana trees, lush flower borders and magnificent houses line the promenade, which finishes in the municipal park at the western end. 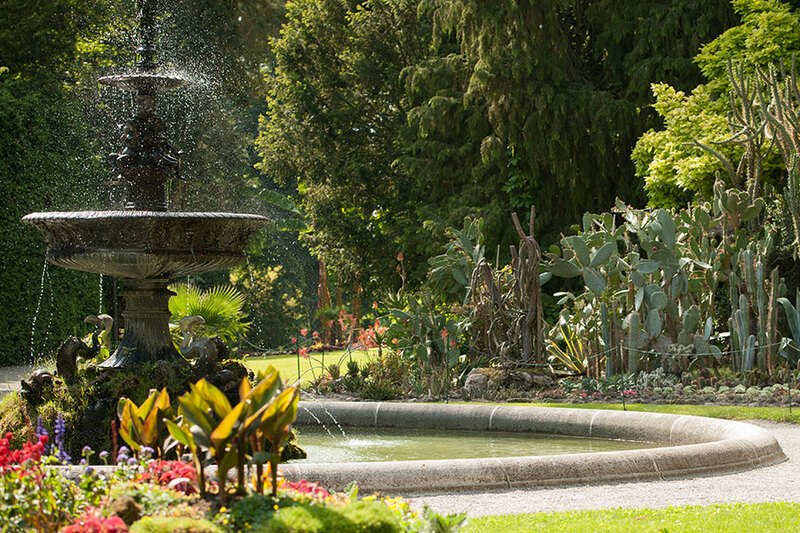 With its rose garden and outdoor cacti, the Stadtgarten is a green oasis where you can relax and enjoy the stunning views over the lake to the Alps. It is also well worth taking a walk along the town’s former moat. In summer it is cool and shady, while in winter you can admire the amazing ice formations on the walls. Another wintertime attraction is the town’s traditional carnival celebrations. Thousands of visitors flock to the town every year for “Fasnet”, featuring the traditional carnival figure “Überlinger Hänsele”, who was first mentioned in the 15th century. The Hänselejuck on Carnival Saturday is a very exciting – and noisy – spectacle, as is the night-time Hemdgloncker parade (in white nightshirts) on Carnival Monday. 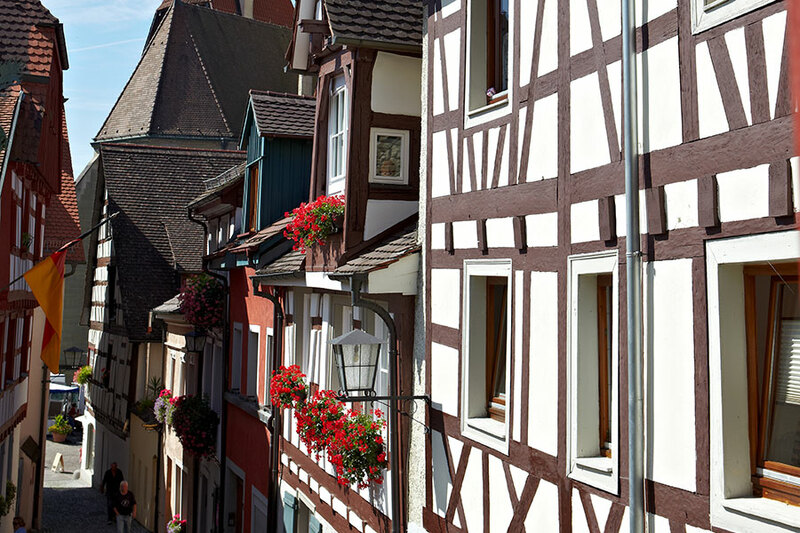 But Überlingen is also the place to come if you are seeking peace and quiet. It is the only Kneipp resort in Baden-Württemberg, and it also has clinics, spa hotels and a modern thermal baths – of course with direct lake access.